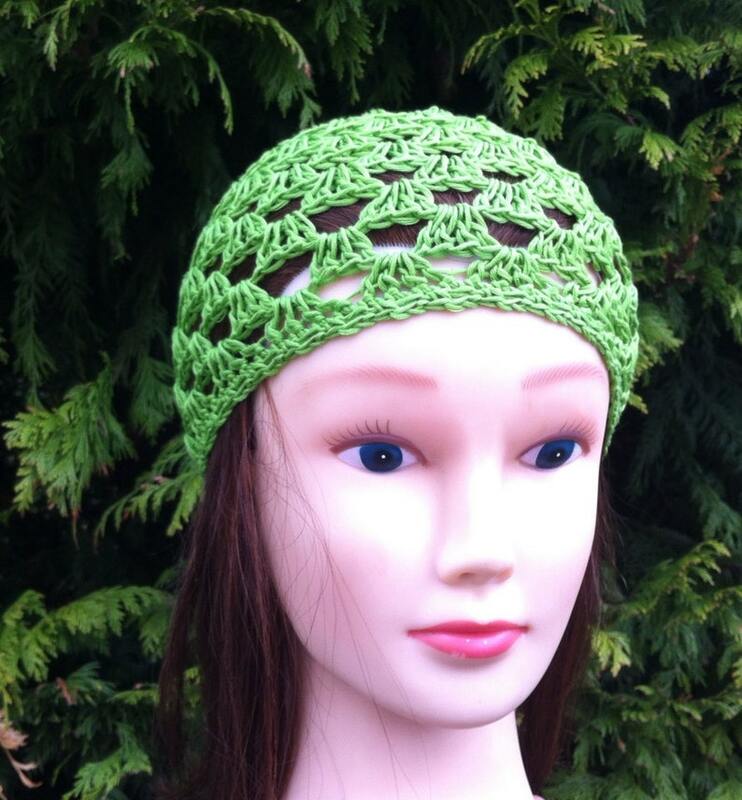 This light and airy beanie was crocheted by hand using 100% cotton yarn in bright green. Size Teen to Adult small. *Item should be gently hand washed and laid flat to dry for best results and longer life. Can't wait to get started on this. This was my first time crocheting post stitch cables. The pattern was easy to follow and I love the texture!! Thx!! I'm assuming that this is a great pattern. Sadly, I am too much of a beginner to follow it. Perhaps I will grow in to it. I hope so. I accept payment by paypal, and ask that payment be made within 3-5 days. Your item will be sent to you as soon as your payment is complete. Refunds and exchanges are given if there is a problem with your order and you're unhappy. Please don't hesitate to convo me if there is a problem. I'll always attempt to solve the problem as soon as possible, and come to some sort of mutual agreement. Patterns will be available for download once payment has cleared. Physical and ready to ship orders will be posted within 2 working days and custom orders will be posted within 5-7 working days. Wether youre not sure what size you need, or you're just making a custom order youll need this approx. size chart. Get a tape measure and measure the circumference of your head around the forehead area. 0-3 mths. - head up to 14 inches circumference. 3-6 mths. - 15 to 16 inches. 6-12 mths. - 16 to 17.5 inches. 12-24 mths. - 17.5 to 18.5 inches. 2T-4T - 18.5 to 19.5 inches. 5T-Preteen - 19.5 to 20.5 inches. Small/Teen to Adult - 21 to 22 inches. Medium/Regular - 22 to 23 inches. Large - 23 to 24 inches. All rasta tams are made with adjustable rims so will fit any head size. They all include a tie cord threaded through the hat rim to allow you to adjust hat size.